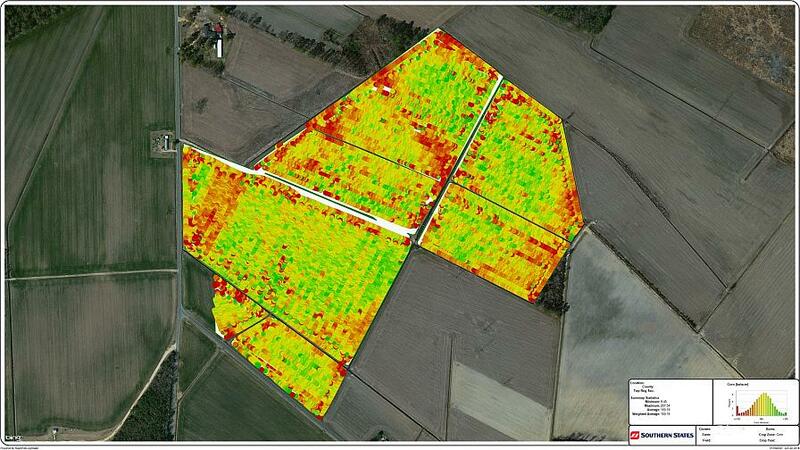 Precision agriculture has many benefits, but the results are only as good as the data provided. Yield monitors and GPS receivers can reveal much about a field’s performance at harvest time and give you a leg up on boosting yields. Unfortunately, problems can arise that may reduce the accuracy of yield data – and this can affect your precision ag program. You can ensure your yield data is correct and complete by employing certain practices before, during, and after the corn and soybean harvests, writes Southern States Cooperative’s communications coordinator Chris Carter in his latest blog post. With a time-sensitive operation like harvest, it’s best to have your yield monitoring equipment ready in advance. Southern States Cooperative senior precision ag program planner Marlin Melander advises growers to start preparations a week or two before harvest begins. “Growers should make sure sensors, cables and GPS receivers are all up and working well,” Melander says. As a harvester goes through a field, the yield monitor’s sensors determine the weight and moisture of the harvested product while the GPS records location. Growers can use this data to not only see how a field performed in the current year, but how they can farm more productively in the future. Carter is the Communications Coordinator at CropLife 100 No. 8-ranked Southern States Cooperative, headquartered in Richmond, VA. See all author stories here.